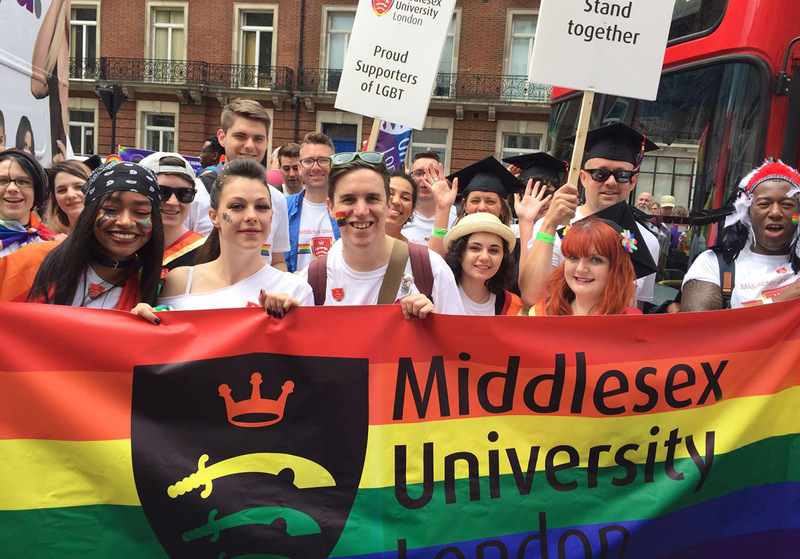 The lesbian, gay, bisexual and transgender (LGBT) charity Stonewall has ranked Middlesex University 264 out of 439 entries in the Workplace Equality Index (WEI) 2017. Stonewall’s Workplace Equality Index is a respected benchmarking tool used by over 700 employers to ensure all LGBT employees can be themselves in the workplace. Measuring both performance and progress, the index covers 10 areas of employment policy and practice, from training to community engagement. It also includes feedback from staff collected through an anonymous survey about their experiences at work. “I strongly believe that everyone achieves more if they can be themselves," says Sophie Bowen, Chief Operating Officer at Middlesex University. "The index is an important benchmarking tool which enables us to assess our progress on LGBT, equality, demonstrate evidence of our achievements and highlight areas where there is still room for improvement. The initial ranking of 264 in the WEI is highly encouraging for Middlesex - especially with most first-time entries being placed in the 300-439 bracket. “Middlesex University is committed to workplace equality,” says David Williams, Director for Global Corporate Engagement and Staff LGBT+ Everyone Else Forum Lead. Through the Stonewall Diversity Champions programme, employers are helped across all sectors and industries to create workplaces where LGBT staff can be themselves and, because of this, can thrive.